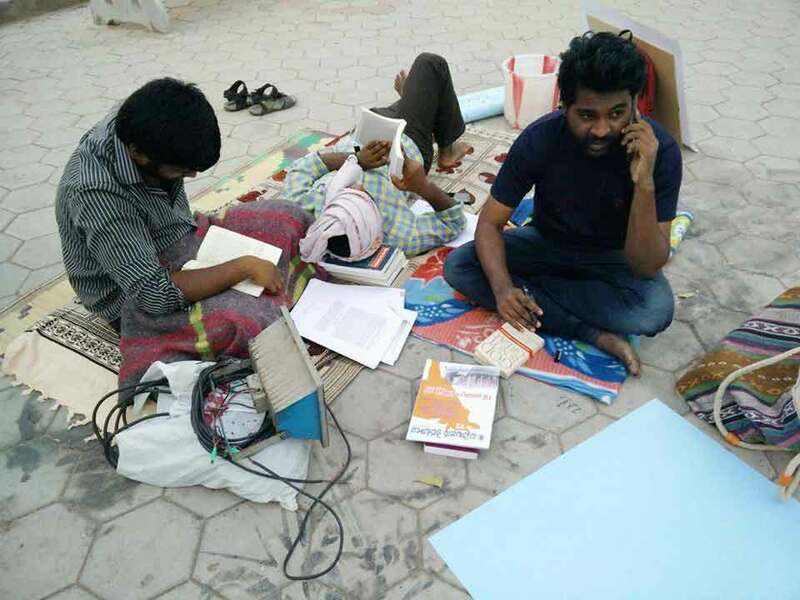 In hyderabad Central University dalit students are asked to vacate their habitation and find a place away from main stream living in Hyderabad. As reported by Counter Currents- AmbedkarStundents Association when decided to screen “ Muzaffarnagar Baqi Hai “ , ABVP tried to stall the screening and, in the process, a student of ABVP passed certain derogatory remarks on ASA studentsin Facebook and hence demanded an apology for the same by ABVP. Due to mass student resentment,he had to submit a written apology. This attracted the ego of the local RSS people and ABVP and they pressurised the VC to take disciplinary action against the student leaders of ASA. To look into the matter VC called up for setting a committee to look into this matter. The committee proved them innocent.Still, VC issued a notice of expulsion, under pressure, which was suspended on account of stubborn protest from the students. VC , without seeking any explanations nor enquiring into the history of the case, took a decision to expel Dalit students from the hostels.